Child’s Winter Portrait Winston Salem… Four years old is such a magical age of blossoming independence and vivid imagination. 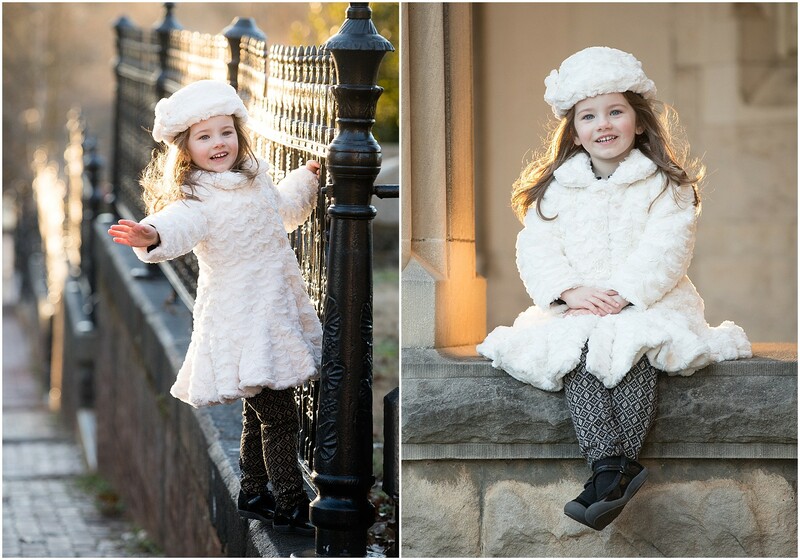 It’s so fun to create portraits of children at this age because they love a good story, they laugh easily, and they haven’t learned to be self-conscious. They are silly and thoughtful, energetic but able to follow directions. We love their enthusiasm for life. 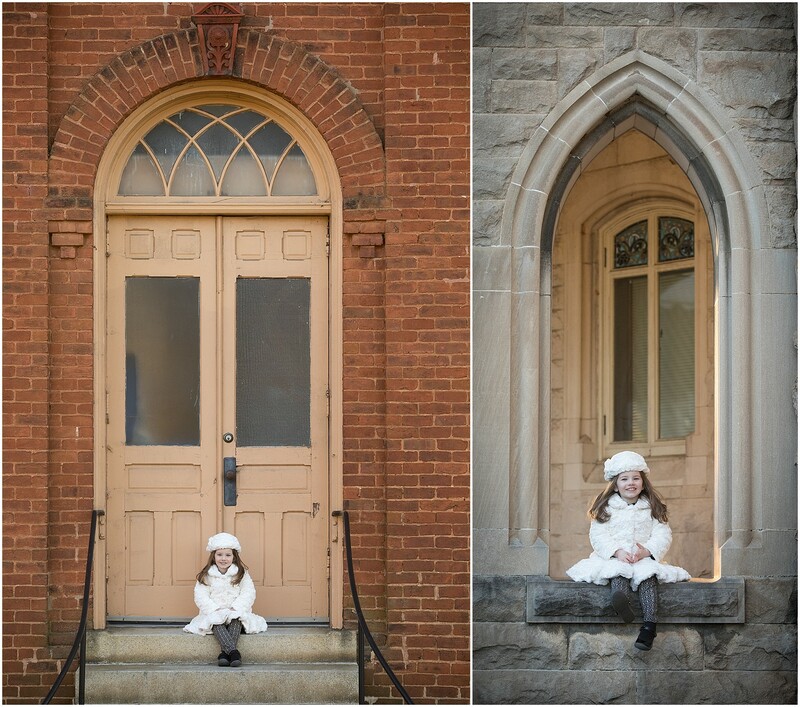 We met this gorgeous little girl in downtown Winston-Salem at the north end of Old Salem for her Four-Year-Old Portrait session. We’ve been photographing her since she was newly born. 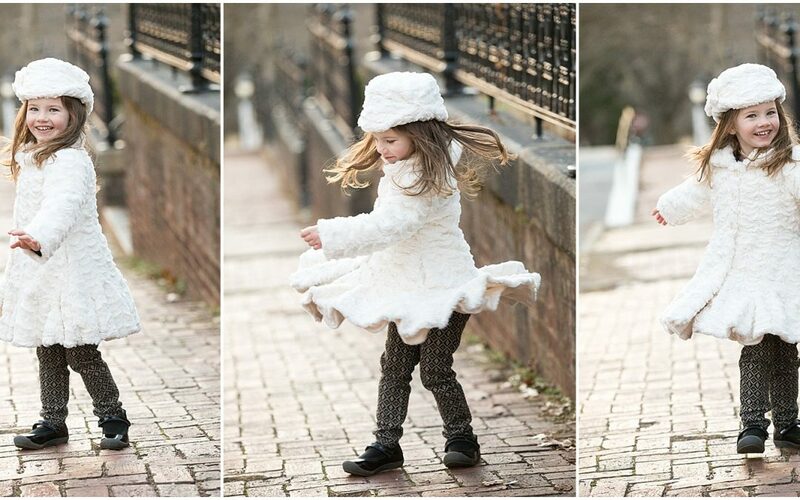 Old Salem offers so much for photographers in terms of all the different looks you can achieve in one small community from rustic barns to more formal areas. 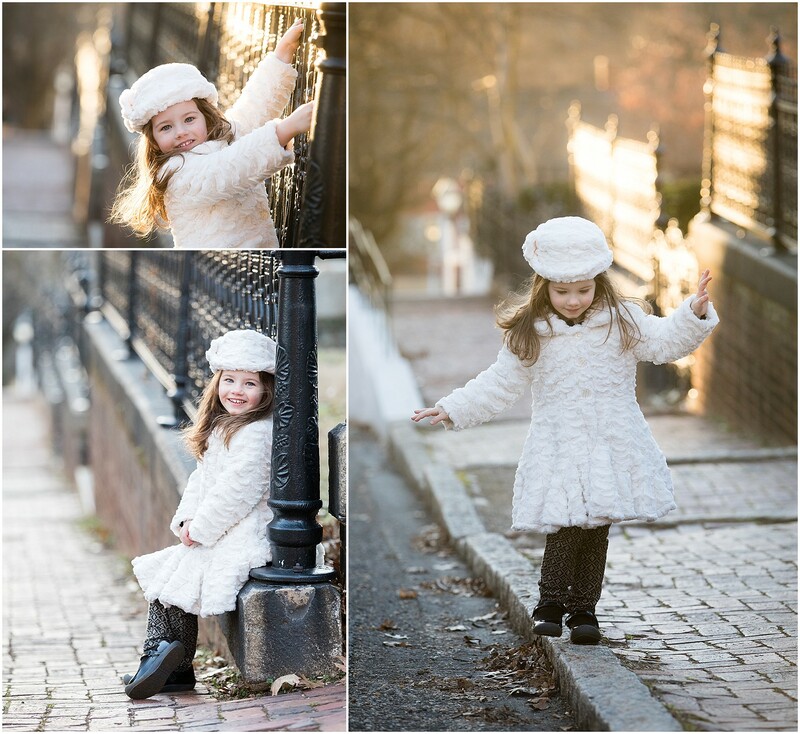 Although many people assume that outdoor portraits are mostly created in the Spring, Summer, and Fall, Winter portraits offer an opportunity to create stunning portraits with their own unique style. First settled by Moravians from Pennsylvania, construction began in Salem in 1766. The Moravians were meticulous record keepers and so many details of the town’s history have survived. Salem merged with nearby Winston in 1913 becoming the only officially approved hyphenated name by the US Postal Service.